Step #1: Login to your Analytics Account. Step #2: Navigate to “Admin” in the lower left corner. Step #4: Select Add User from the large “plus sign” menu. 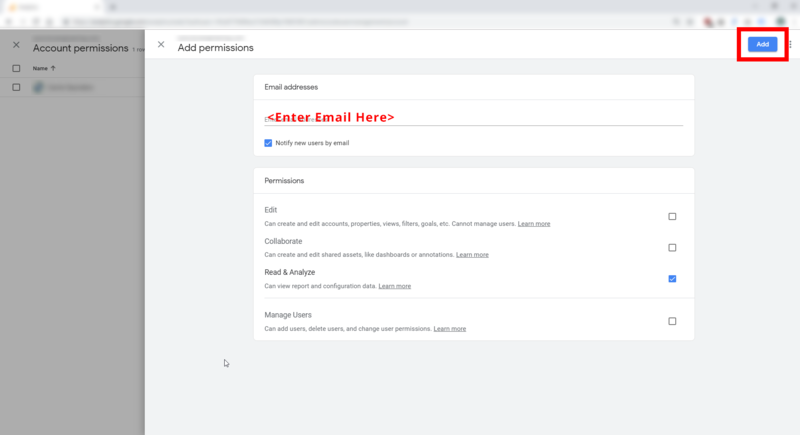 Step #5: Enter in the user’s email address, adjust permissions if you desire to give the user more control than simply viewing the data, and then select “Add”. That’s it. You’ve now added a user to your Google Analytics account! 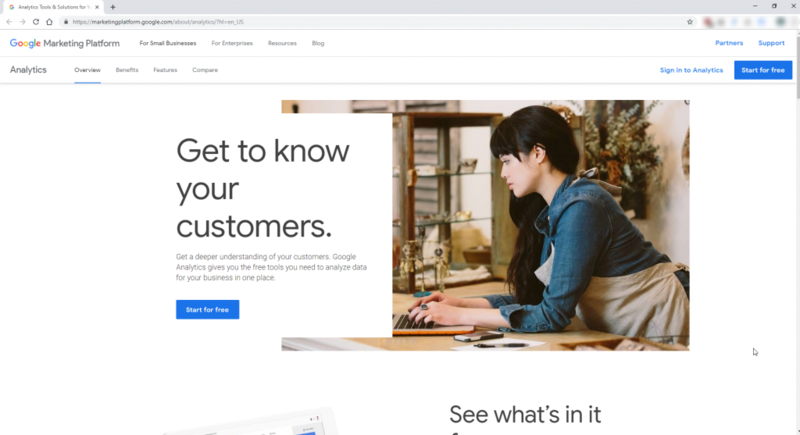 This entry was posted in Ecommerce on March 1, 2019 by Kellen Murphy. BCS Engineering is the largest third-party developer of X-cart modules and customizations. Since 2002, we’ve been helping e-commerce retailers improve their sales, customer engagement, and customer satisfaction. And we’re not just X-cart experts! Our staff includes Magento-certified developers, and we can honestly say that for one project or another, we’ve worked with every major e-Commerce platform, web framework, and sales tool under the sun. That’s why we’re uniquely suited to help you. Our team has over 65 years of combined e-commerce experience. This expertise allows us to deliver an unbiased, comprehensive assessment of your e-commerce strategy. We can help you refine your processes to be more efficient, most cost- and consumer-friendly, and most importantly deliver better results year-over-year. Above all, e-commerce implementations are complex. Our team has the experienced needed to not only assess your needs, but also to deliver the functionality that those needs demand as well. We are expert e-commerce developers with experience using the X-cart, Magento, Shopify, BigCommerce, and PinnacleCart platforms. We’re engi-nerds at heart. We love making existing tools do new and useful things for our customers. That’s why we pride ourselves on knowing our platforms, building useful tools, and making the machinery of e-commerce work efficiently and in customer-friendly ways. We’ve implemented thousands of e-commerce projects that are generating tens of millions in digital sales for our customers every year. Therefore we have the know-how and have e-commerce best practices down to a science. Our e-commerce consulting team will help you transform great digital experiences into amazing revenue generators. and lastly we’ll engage with you in open, honest discussion about any questions or concerns you bring to us about your business. We want to see your store succeed. We can help your store succeed. Our consulting services are designed with your best interests in mind. So reach out to us to schedule an e-commerce consultation or discuss other ways that BCSE can help you today! 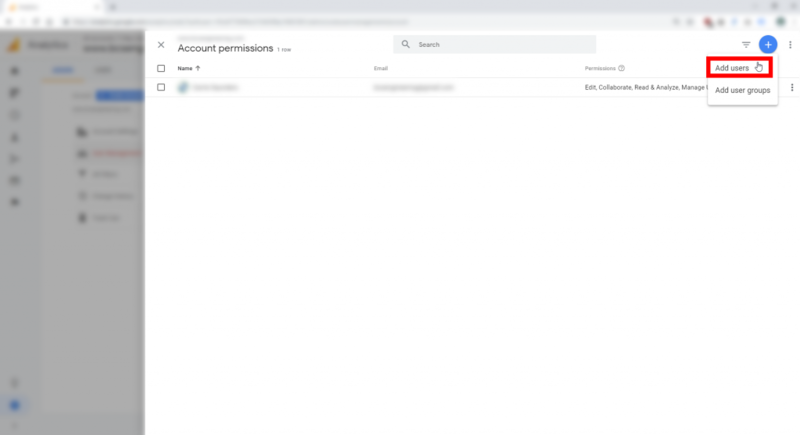 This entry was posted in Blog, Ecommerce and tagged consulting on December 18, 2018 by Kellen Murphy. WordPress 5.0: featuring the Gutenberg editor, a new theme, and new developer features! The new editor for WordPress 5.0 is based around “blocks”, or small content-insertion areas of different types, i.e. media, text, quote, or code. This is akin to how many of the most popular site-builder plugins work. The idea is that it’ll allow non-web developers create, slick, modern content with no code. WordPress 5.0 also includes the new “Twenty Nineteen” theme. Designed to integrate nicely with the Gutenberg editor, the new Twenty Nineteen theme features custom styles to take advantage of all of the varied “block” types available in the editor. It wraps these in a versatile, slick, and responsive package. A major release like this is always likely to introduce new bugs and changes. You should always be particularly cautious about “dot zero” updates especially. While we’ve seen no major incompatibilities between our integrations and the new WordPress, we are recommending that our e-commerce clients remain cautious. In particular, there is a good deal of controversy surrounding the new editor. And some blogs are claiming that the new block editor is not ready for prime time, as of just yesterday. We generally follow the no-“dot zero” philosophy… avoid releases with numbers like x.0… and that holds true here. We are advising clients with production sites to exhibit caution, and delay updating, until the community has more thoroughly-vetted WordPress 5.0. Until then, if you have a development environment for you store or blog, and wish to explore WordPress 5 and it’s interaction with you store, you can download it here. Unsure? Let the experts at BCS Engineering help. Contact us today! This entry was posted in Blog and tagged wordpress on December 7, 2018 by Kellen Murphy. Magento 2.3: Multi-source Inventory, Progressive Web Apps (PWA) support, and more! 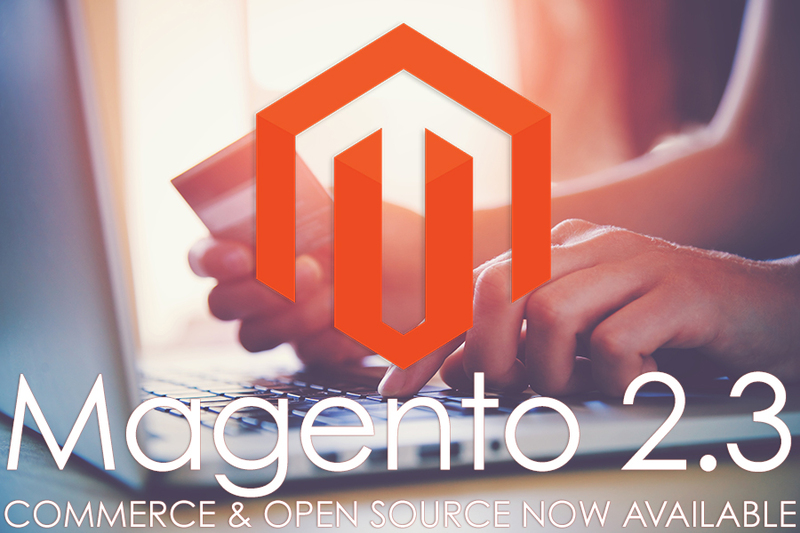 The long awaited release of both the Magento Commerce and Open Source editions is available now at Magento.com. Firstly, the Progressive Web Applications (PWA) Studio enables merchants to deliver their mobile store in an all-new app-like experience on modern, compatible devices. The new experience is faster and more responsive than traditional mobile skins, therefore improving conversions and sales across mobile channels. In addition to an improved mobile experience, the new Multi Source Inventory improves your supply chain management. The new system lets merchants manage inventory located in physically distinct warehouses and source channels in a single interface. Track inventory per source location and globally so that you can now know what quantity you have and where it’s located in your supply chain! PageBuilder is an all-new drag-and-drop editing tool for site content. This new tool will help store operators update the look-and-feel of their site without having to hire a developer. In addition, this new tool uses a flexible grid-system, so that you can make new pages or tweak existing pages, without worrying about placement issues. New options for shipping and order fulfillment. A new declarative database schema; making life easier for developers. Lastly, better security with update reCAPTCHA and Two Factor Authentication (2FA) options. You can see the full list of changes by accessing the release notes for Magento Commerce and Magento Open Source, respectively. For assistance upgrade, or to discuss how the new features of the Magento platform can aid your store, contact BCS Engineering today! This entry was posted in Blog, Magento and tagged magento on November 30, 2018 by Kellen Murphy. Thanksgiving is next week, which means the e-commerce world is frantically preparing for Black Friday and Cyber Monday. While others prepare to gorge on turkey and spend some serious dough, are you sure your store is ready for the rush? Here’s some quick tips to get your store in shape for the busiest shopping days of the year! Do you have your Black Friday and Cyber Monday graphics ready to go? Do you know the plan for pushing them live? Have you tested the look-and-feel out in a development environment? Are your offers ready? Do the coupon codes work? Have you checked to make sure the appropriate limitations on those codes are in place? And, most importantly, is your site secured? If you don’t already have robust keywords in your store, now is the time to add some! 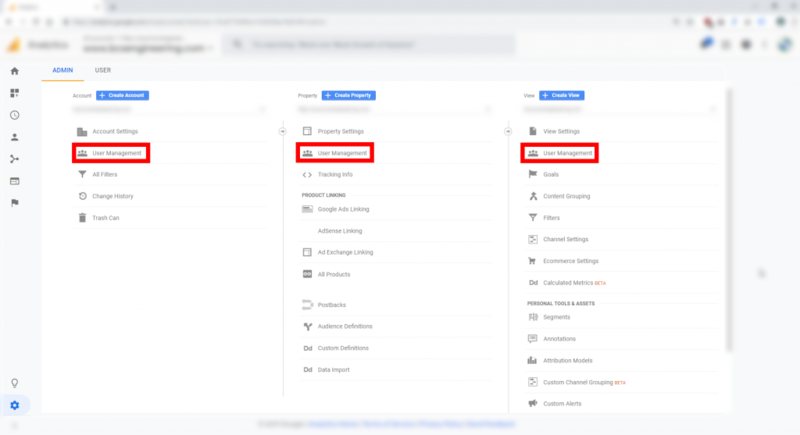 Have you properly configured Google Search Console and Bing Webmaster Tools? These tools provide starting points for seeing what the major search engines know about your site. You can then use a good SEO mod, or tools built-in to your cart to make sure your key words have been properly added and are positively affecting your search standings. If your business is tight on cash flow, that doesn’t mean there’s nothing you can do! A little bit goes a long way, and since SEO should be a major component of any sales strategy in e-Commerce, if you’ve neglected this, there’s no time like the present to step up and make your site search-friendly. What’s your Black Friday disaster plan? Do you have support staff on standby? What will do you if you run out of stock? Is your fulfillment team ready to get those Black Friday and Cyber Monday orders to customers? And what about technical problems? Do you know what to do if the store is crashing on Black Friday? Do you have site backups? What about the database? One small error can massively mess that up for the whole weekend if you don’t have a contingency plan in place. Your most likely source of problems on Black Friday or Cyber Monday will be the customers. Do you lay out your store policies on returns and shipping, and list your Holiday delivery deadlines in a clear manner on your site? Making sure your policies are clear can make working with unhappy customers easier and less time consuming post-holiday. You should aim to give your customers a great shopping experience on Black Friday and Cyber Monday. If you haven’t refreshed your store’s look and feel in some time, now is not the time to try radical changes, but small quality of life improvements can go a long way. Do you have mobile friendly pages? Will your Black Friday / Cyber Monday images and promotions look nice on mobile devices? Do you have abandoned cart reminders enabled, so that you can re-capture those customers that are on the fence about their purchase? Are you offering a loyalty program, and rewarding your loyal customers? Appeal to the vanishing deal! Black Friday and Cyber Monday are over fast… encourage quick purchases by appealing to your customers sense of urgency and implying scarcity of your products. Give your social media presence a quick make-over with new graphics, and make sure your information and correct and concise. Write guides (like this one) in the run-up to your Black Friday / Cyber Monday deals. Review products you want to sell, or create short tutorial videos to soak up the customer’s attention. When in doubt, seek help! BCS Engineering is staffed with e-Commerce experts that have been working in the field since 2004. If you’re not sure you’re ready, or if you just want to get some feedback about a particular issue, we’re here to help you survive Black Friday and BEYOND! Contact us today to see how we can help you! This entry was posted in Blog, Ecommerce and tagged black friday, cyber monday on November 13, 2018 by Kellen Murphy. X-cart 4.7.10, the latest update to the “Classic” branch, just announced . 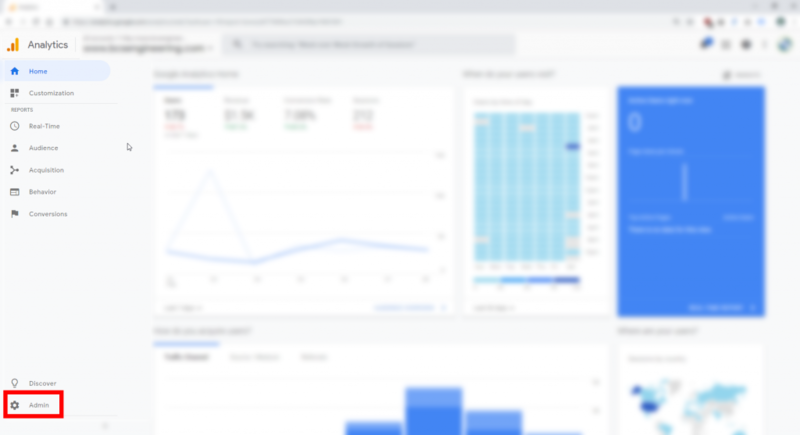 This version brings several improvements for site speed and reliability, as well as enhancements for SEO, GDPR, and third-party integrations. Improvements for Site Speed and Optimization (native CSS and JS minification, widget improvements). Security Improvements (including changes to cookies to ensure PCI compliance). X-cart now supports Guest Checkout for the Paypal Module. X-cart 4.7.10 now fully supports PHP 7. How to go about updating your store to X-cart 4.7.10 highly depends upon your current environment. If you are using a version prior to 4.7.0, you will need to consider reaching out to a professional for help with your upgrade. Never upgrade a live store. You should maintain a development environment for your store, so that you can try out upgrades in a test mode, and ensure that nothing breaks. Always have a backup. Both your site’s file and database should be copied before you apply the patch. You can obtain the upgrade packs from your customer area. Make sure you following the instructions for applying the file and database patches precisely. More information on upgrading is available on the Wiki. We strongly encourage you to seek assistance from an experienced X-cart developer when upgrading. This is especially true if your store is currently running version 4.7.0 or earlier. Our team has been developing custom modules, hosting and maintaining X-cart sites, and helping stores grow since 2002! We’re ready to help you upgrade today. Contact us now to discuss how we can bring your store up to the latest X-cart 4.7.10. This entry was posted in Blog, X-Cart and tagged upgrades on October 24, 2018 by Kellen Murphy. It’s beginning to look a lot like… October? Simply put, the holiday season is the biggest retail sales period of the year, and you don’t want to miss out. If you have an online presence, you should expect people to be shopping your store on Black Friday and Cyber Monday, and that there’s going to be a large, active shopping presence throughout the holiday season. Take advantage of the months before November and December, when sales are steady and stable, to look over last year’s sales data. What areas did you do well in? Where do you need improvement? Are there features you’ve been putting off implementing that you’d like to have for this year’s busy season? Some typical issues that site owner see are site functionality that could be improved, your logistics and product delivery pipeline, and poor marketing positions. Is your store lacking in one (or all) of these areas? Mobile sales are shattering records year-after-year. Does your mobile presence inspire trust in your brand among your customers? Is your mobile site easy to navigate? Are you accessibility friendly? It can take two months or more to develop mobile enhancements to an existing e-Commerce site that doesn’t natively support mobile. Often, an entire site theme needs to be rebuilt and adapted to your store. The middle of November is not a good time to think about a major redesign. Start early, reap the rewards this holiday season. How does your site perform? Have you tested it? There a tons of website performance calculators out there… is your site up to par? If your performance isn’t where you want it, your customers could be experiencing frustration while using your site, and that could turn them away from your shop when there are deals to be had literally everywhere. Have a professional performance audit — Let one of our engineers evaluate your site’s configuration and actual performance in real world testing, to determine whether there are any changes that can optimize your content delivery. Compression — Reduce the size of your content (especially images) by compressing it before delivery. This will make your site faster and, therefore, more friendly to customers. You can also minify CSS and JS, and deploy your site over a content delivery network to improve performance further. Load Balancing — When your service capacity is too small for the amount of traffic your site generates, you start to see “connection refused” errors. Using multiple servers sitting a load-balancer to evenly distribute the traffic can keep your site snappy even under intense load. Is your code efficient? — Are you using 50 plugins? Do you have a spaghetti mess of customizations that have been built over years and year of tweaks? Maybe you’re running an older platform that needs upgraded? All of these things can lead to inefficent, ugly, and insecure code. This one is best left to professionals to handle… contact us today! Fundamentally, shoppers on Black Friday and Cyber Monday are out for deals. Now is a good time to sit down, look at your product offerings and margins, and develop a sales strategy for the holiday season. Furthermore, figuring out what you really want to sell this holiday season can tell you how to sell it. Starting now, you have a solid 6 week period for getting together new graphics, marketing materials, and planning a strategy for enticing customers into your store. Ideally, you’ll have a solid strategy in place a few weeks before the holiday season starts. If you couple this with a site that’s been checked out by a professional, with any issues fixed or maybe even updated a bit, you’re sure to have a stellar holiday season. Let BCS Engineering ease some of the stress of operating an e-commerce store this holiday season. Our engineers have been designing, building, maintaining, and building custom enhancements for e-Commerce sites of all flavors since 2002! We’ve got what it takes to get your site in shape for the holidays, and we’re here to help. Contact us today! This entry was posted in Blog, Ecommerce on October 1, 2018 by Kellen Murphy. Magento announced today a long-term strategy for the Magento franchise. 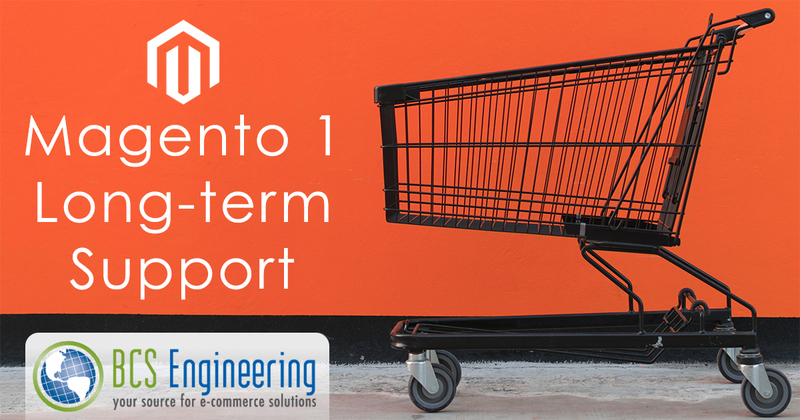 Therefore, it is of vital importance that e-commerce stores who are currently using Magento 1 begin the process of transitioning. This could be either via an upgrade to Magento 2, or via migration to another cart provider. Need to Upgrade from Magento 1 to Magento 2? We’ll move your store from Magento 1 to Magento 2 — or any other platform — for you; let us do it all! Do you just need some custom functionality ported to your new store? Our certified developers are ready to help. Or, are you so completely overwhelmed with the idea of moving your store that you don’t even know where to begin? Don’t worry, we’ve been doing this since 2002… this isn’t our first rodeo. Contact BCS Engineering today! We can help you navigate the upgrade process and keep your store working smooth… until 2020 and beyond! This entry was posted in Blog, Magento on September 24, 2018 by Kellen Murphy. sales/payments improvements (including Braintree and Paypal integrations). Although this release includes these security enhancements, no confirmed attacks related to these issues have occurred to date. 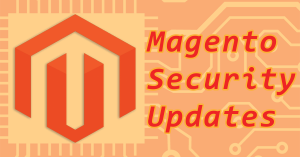 A minor patch is also available for Magento 2.1 — version 2.1.15 — that addresses these security concerns. For a full discussion of the vulnerabilities that have been addressed, see this discussion at the Security Center. Do You Need Help with Your Magento Upgrade? BCS Engineering’s certified Magento developers are standing by and ready to assist your e-commerce store with upgrading to the latest version of Magento! Our team are experts at deploying new major and minor upgrades, as well as assisting with your store’s theme, adding custom features to your store, or addressing security and performance issues. Contact us to find out how we can help with your store today! This entry was posted in Blog, Magento on September 20, 2018 by Kellen Murphy.